The next chapter in Nintendo’s beloved Metroid franchise, Metroid Prime: Federation Force a first person shooter and sports game, is now available exclusively on the Nintendo 3DS. Developed by Next Level Games out of Vancouver, this independent game developer has been working exclusively with Nintendo since 2004. Produced by Kensuke Tanabe, producer of all pervious Metroid Prime games, Metroid Prime: Federation Force has plenty to see and do that is sure to please fans and those new to the series alike. 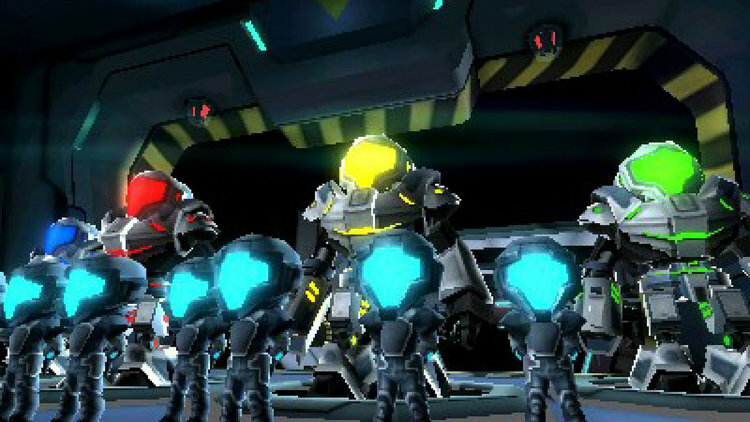 Metroid Prime: Federation Force takes place shortly after the events of Metroid Prime 3: Corruption. As a rookie member of a team of elite marines known as the Federation Force, you use your handy blaster along with your specialized battle armour suit to take out the surging Space Pirate threat. Ready to put their training to the test, the Federation Force is deployed to the Bermuda System to investigate the Space Pirate’s presence. 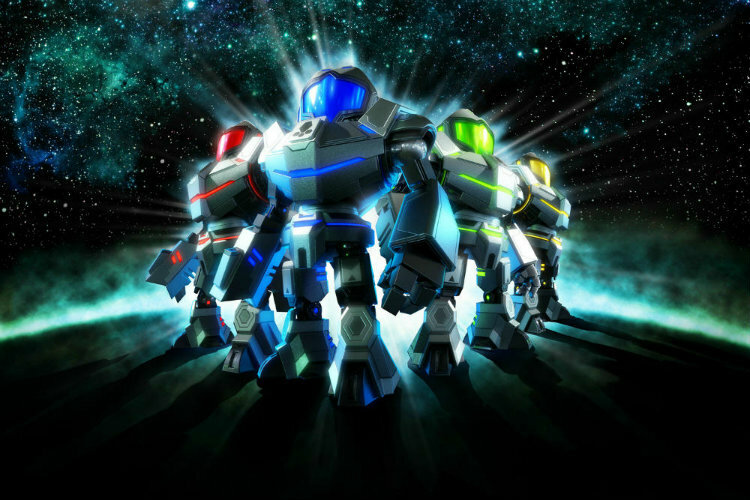 While Metroid Prime: Federation Force’s story is not one of the strongest in the Metroid franchise, I commend what Nintendo, and Next Level Games have accomplished by expanding the Metroid universe through the perspective of the Galactic Federation’s Federation Force. Metroid Prime: Federation Force is a good step forward in expanding the Metroid Universe beyond Samus, and has laid the groundwork from which the series can continue to grow upon in the future should Nintendo decide to. If you have played the Metroid Prime games on the Wii then you will be familiar with the gameplay and control mechanics of Metroid Prime: Federation Force. Using the New Nintendo 3DS, Metroid Prime: Federation Force controls like a traditional FPS where the right stick is your aim. Additionally, you can set your shoulder buttons to jump and shoot—allowing you to keep your thumbs on the sticks unless you have to use an item. For the most part, Metroid Prime: Federation Force will have you fighting enemies, solving puzzles, and conducting some form of platforming. The game now progresses though a mission format instead of allowing you to free-roam. Before heading out on a mission you will need to decide which mods, equippable items that beef up your weapons or other items that you are going to take along with you. Metroid Prime: Federation Force is best enjoyed with friends, its gameplay and team-based gameplay really shines when played with up to four players online or locally. 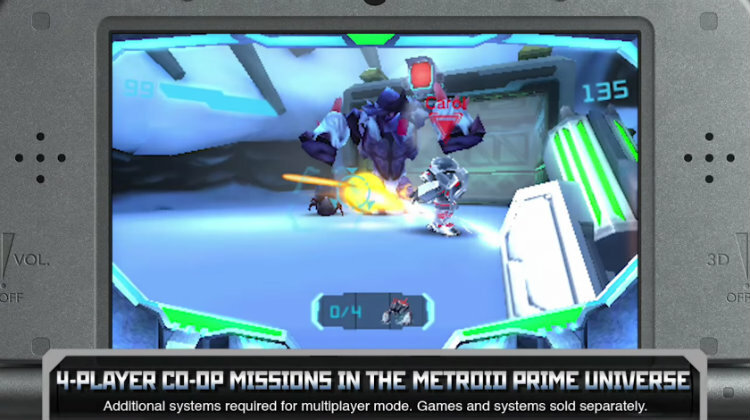 Metroid Prime: Federation Force supports Download Play, which allows you to share the game with other local players. On top of the standard multiplayer game, Next Level Games has included a fast-paced multiplayer Blast Ball mode. Using your Mechs, two teams of three face off against each other shooting a ball while attempting to blast it into the other team’s goal. With very few instances of online lag, Blast Ball’s simplistic gameplay is a ton of fun to play. On top of all that, Blast Ball has its own set of unlockables and skins, with amiibo skins based on the Super Mario Bros.
Metroid Prime: Federation Force is jam-packed with content that will keep you coming back to play after you have beaten it. 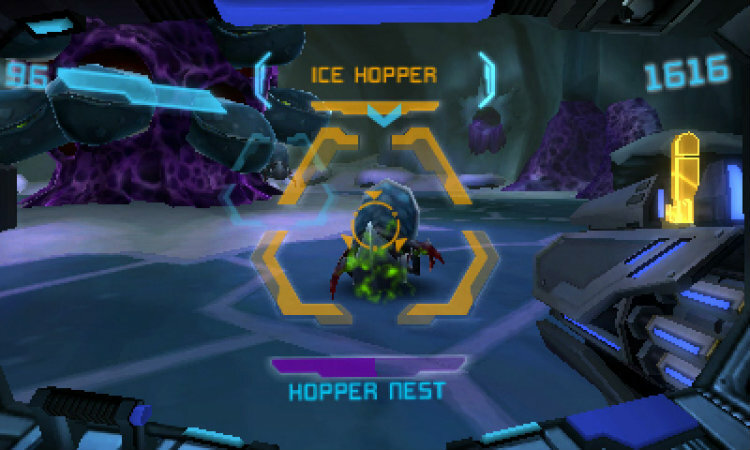 Each stage and difficulty in Metroid Prime: Federation Force have their own set of medals to unlock at the end of each mission, and medals are awarded for completing the level with high scores. Furthermore, each mission has a bonus objective and par time to complete. 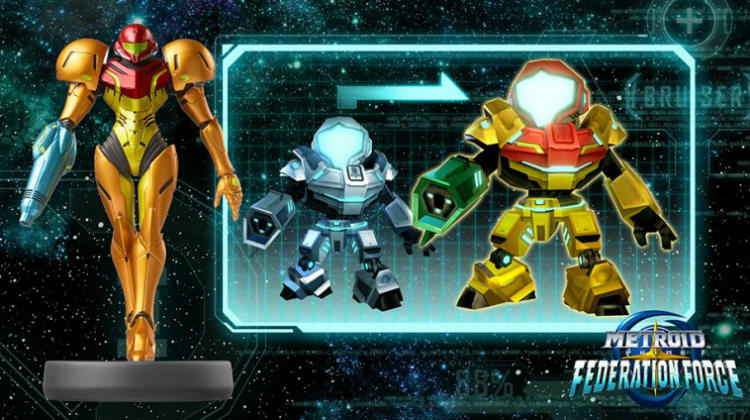 If you have a New Nintendo 3DS or a 3DS NFC Reader, can tap the Samus or Zero-Suit Samus amiibo figures to get added firepower on the Federation Force missions. Moreover, there is support for even more amiibo. Metroid Prime: Federation Force looks bright and colourful on the Nintendo 3DS’s screen—screen shots do not do the game justice. The character animations are simply exquisite for the portable device, and character design is similar to that of Metroid Prime. Not to be outdone, Next Level Games have included a wonderfully orchestrated soundtrack that you will want to listen to with a set of headphones. Metroid Prime: Federation Force is one of the best first-person shooter experiences on the Nintendo 3DS hands down. Nintendo has done a wonderful job expanding the Metroid universe, and multiplayer co-op gaming is a blast to play. Metroid Prime: Federation Force is one of my favourite Nintendo 3DS games this year.